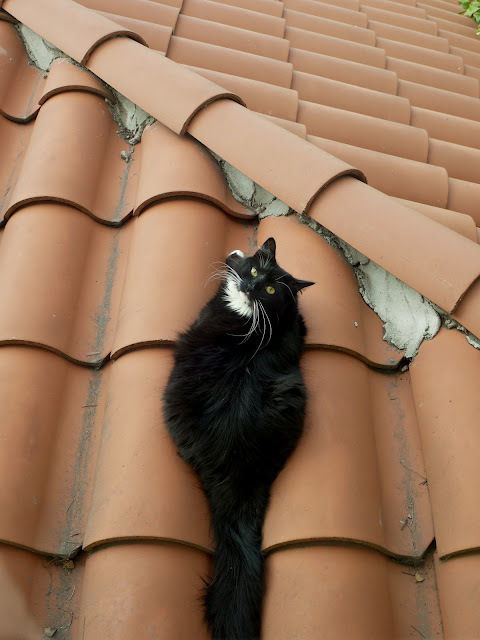 I like it up here! Are you gonna join me or what?! 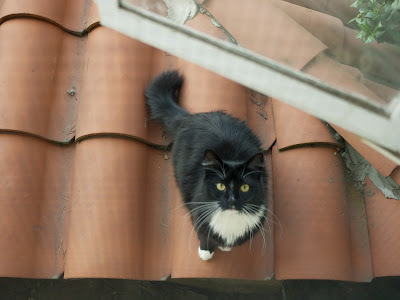 C'mon over...I'm going up on the roof with Sandi Claws too! Hmmm ótimo para observação de pássaros. Você é muito esperto. :S LOL the last picture's a little scary. The cat's stance in the last picture reminds me of the cat in the movie "Ju On: The Grudge" - it's one of my favorite supernatural horror films, actually. Not to mention her fur's also black. Nevertheless, she's cute. Haha! That's quite a hilarious comment, Will. I was also a little scared of her stance in the last two pictures. Cats are cute, but they could be troublesome on the roof, you know, especially when they poop. It’ll be even worse if you have holes on your roof. :P Could you imagine seeing cat poop leaking from the roof? 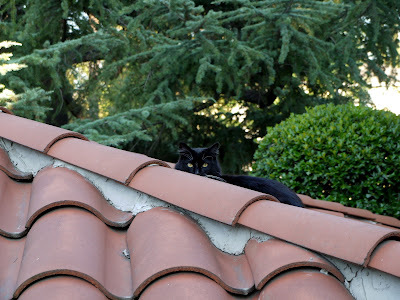 That is we need to check our roofs regularly. I find the cat so cute, but after I read Willene’s comment, it suddenly became creepy to me! Haha! Anyhow, does the cat still love to be there? It reminds me of my pet, Spark. He loves to climb up the roof as well.